One of our first projects was to make films with people with dementia. 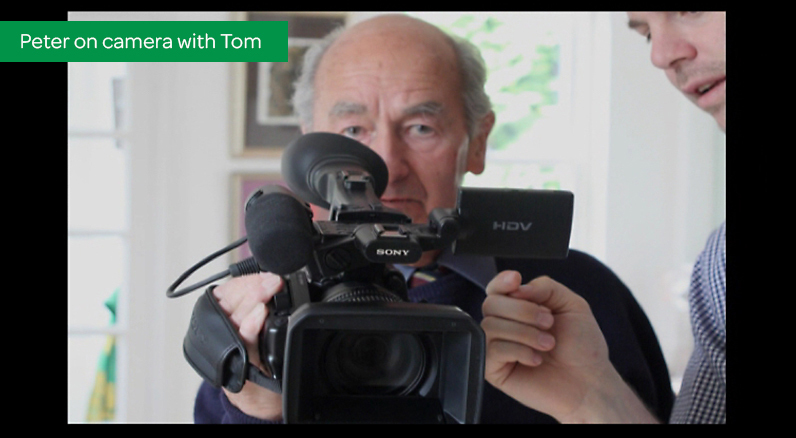 We originally wanted people with dementia to present a series of videos about dementia as way of challenging stereotypes about what they were capable of doing. …but people told us they were frankly bored with talking about dementia and wanted instead to make films about things they find more interesting. We think the videos we eventually made carried a much more powerful message about the lives and aspirations of people with dementia, and broke down a lot more stereotypes than those we had originally planned. They were also a lot more fun. We have found that this often happens when people with dementia are in control. You can see the films below. This film follows Nick as he works on the oldest known collection of misericords in Exeter Cathedral. Don’t know what a misericord is? – Nick will tell all. We accompany Sandra as she visits the library where she spent most of her working life as a librarian. There we meet some of the cast of a story which Sandra wrote to capture the imagination of her grandson and introduce him to the world of books and reading. Peter had a long and illustrious career as a sculptor and educator. In this film he shows us round his studio and reflects on the events that shaped his life and career. These ten films were a great start for us – and the people we worked with really helped to shape our views. We realised what a powerful medium film is, particularly for people with dementia – as it enables people who are not usually heard to tell their stories in their own way. While dementia does have an effect on communication – people still retain the ability to communicate if they have the right support, and their voices and stories need to be heard. These voices and stories in turn are a powerful tool for challenging stigma and negative stereotypes. This is why we have continued to use film. All of our films have been made with people with dementia, and are about people who are living with dementia, but they are not just about dementia. They are about people living their lives positively, with vitality, grace, and creativity. They are about people who are still learning, still growing. They show people for who dementia might be life-changing, but is not life-ending.